CLS Counselling is a Psychology Practice providing Christian based psychological support. Our services are available to clients of any faith, and to those with no religious affiliation. Christian clients can span across all denominations including, and in no particular order, Pentecostal, Anglican, Catholic, Orthodox, Baptist, Uniting, Presbyterian, and others. The Medicare Rebate is also available to alleviate counselling costs. New clients are welcome. Immediate bookings available*. We provide assistance to clients in relation to a broad range of mental health presentations and general life problems. CLS Counselling is a Psychology Practice with emphasis on personalised care, and quality of service. Services are available at our counselling centres and online. CLS Psychologists have the necessary understanding and experience to help address the particular counselling needs of Christian and non-Christian clients. Psychological bodies are increasingly recognizing the influence of different religious and cultural backgrounds on counselling and clinical work, including evidence-based treatment. As described in the psychological and diagnostic literature, religious and cultural belief systems contribute to every aspect of client functioning including interpretation of experience, symptoms presented, and even treatment choices and perceptions of psychological care. A respect of religious client belief systems more fully informs assessment and treatment formulations; it provides the safety sought by our Christian and other clients, and enriches the counselling process providing the necessary understanding of each client and their specific needs. You can contact us by clicking here. Our psychologists provide professional services with particular care for your comfort, discretion, and the due protection of your privacy. 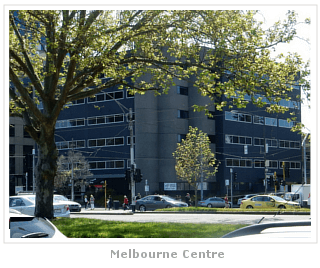 We have multiple locations* with our head office ideally located within the heart of Melbourne's medical and allied health service precinct, providing broad accessibility to clients from the Central Business District, and all corners of city-fringe and outer-suburban Victoria. We provide a warm and supportive environment for our clients. We are able to provide the Medicare rebate to help cover session fees. Alternately, you may choose to claim with your Private Health Insurer. Our Psychologists are experienced private practice practitioners. All are accredited with the Australian Health Practitioner Regulation Agency, and are registered with Medicare Australia. To schedule an appointment time, please phone us on 9820 1223. 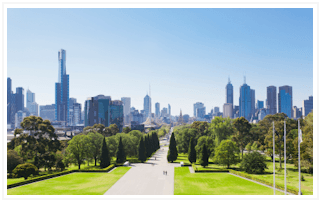 *Locations Serviced: CLS has a centralised main office location which enables Christian counselling accessibility from many suburbs around Melbourne. Locations include: Melbourne City, Melbourne (St. Kilda Road region), Abbotsford, Albert Park, Armadale, Brighton, Brunswick, Burnley, Carlton, Chadstone, Cheltenham, Clifton Hill, Collingwood, Commercial Road, Docklands, Epping, East Melbourne, Elsternwick, Emerald, Elwood, Eltham, Ferntree Gully, Fitzroy, Footscray, Glen Huntley, Hawthorn, Heidelberg, Kew, Knox City, Wantirna, Middle Park, North Melbourne, Northcote, Oakleigh, Parkville, Port Melbourne, Richmond, Reservoir, Rowville, South Melbourne, South Yarra, Southbank, St Kilda, Toorak, Ferntree Gully, Upwey, Werribee & Windsor.